Download VPN client software and connect within seconds to VPN servers! World's most trusted VPN provider, Hide.me VPN with over 5 million downloads now offers newly enhanced VPN Apps for all Devices and Operating systems with Free VPN. It's as easy as 123, No Registration, No Login required. Just download and enjoy the fastest VPN in the world. hide.me VPN for desktop App offers Wi-Fi security and online privacy, as well as access to all blocked content & apps. hide.me VPN offers 100+ servers in 24 different countries across the world. It provides the best security features to protect users' privacy and devices from all kinds of online threats. hide.me VPN for PC maintains its own dedicated server network to ensure fast speeds and absolute privacy. What to do in times when the cyber world is dominated by instances of snooping and mass data collection? When your data is on sale? In scenarios like that, only a VPN can help you improve your online security and privacy. VPN stands for "Virtual Private Network" – the most secure way to connect to the internet without risking your online identity, privacy and personal information. A VPN creates a secure tunnel using most powerful VPN protocols – hides your original IP behind one of its own – encrypts all your communication and passes through the secure tunnel allowing you to surf the web freely and anonymously. Download Hide.me VPN for Windows today! VPN is the best tool for Encryption. When you transfer your data via the internet it travels in forms of packets. These packets can easily be intercepted by anyone using simple tools available on the internet. Take the example of an open letter. If you drop the letter in the post box without closing it in an envelope then what will happen? Anyone who can have hands on it, will read it. But if you drop the same letter, perfectly closed in an envelope then nobody can read it. Encryption is like envelope for your online communication. Rapidly increasing censorship and diminishing rights of Freedom of speech, boost the demand of a VPN. In many regions of the world, you are not allowed to express your thoughts and opinions. A VPN is the best solution to avoid Censorship. If you are in a country where expressing your opinion is strictly prohibited, you can connect to a VPN and select a server of a country with less or no internet restrictions to securely access the websites and express your thoughts freely. 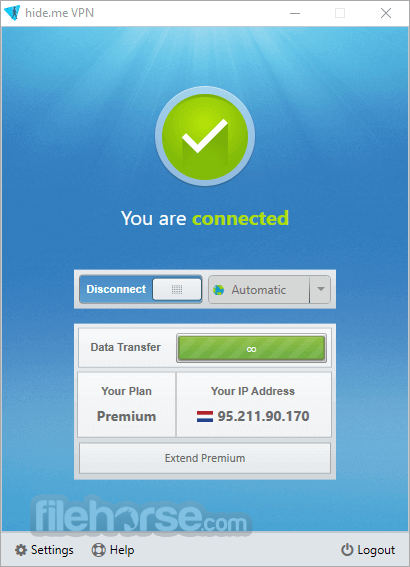 Enjoy secure access of the internet with a VPN. When you use a public WiFi hotspot, your entire browsing activity while connected to that hotspot could be monitored and spied on. It is very much possible that the next person sitting beside you can read your communication easily. Do you know, how easy it is for bad people to create devil twin WiFi Hotspots. Devil twin is like a mirror copy of the original WiFi, which confuses you, but in real it is a trap. When connected to public, unsecured WiFi network, most of your data - can be logged and monitored by almost anyone on the same network. With strong encryption and secure tunnelling, a VPN can help you improve your online security and make your IP invisible.